Look I’ll say it, I messed up. I went 0-8 yesterday. By far the worst day I have ever had and I’m sorry. But what I can tell you, I’m going 8-0 today. It’s my day, I’m feeling it. After yesterday’s goose egg, I now sit at 66-40-1 which is 62%. Stay with me, let’s ride. This game will probably be the best game of the night. After their scare against Maryland, LSU looks to bounce back in the biggest of ways. Look, LSU is better than Michigan State. They have been all year. What scares me is they are still without Will Wade. Taking a coach from their team in March, is like losing your Quarterback in the College Football Playoffs. He is just as essential as your best player. With that being said, Tom Izzo is out to prove quite a bit. He is one of the most overrated coaches in the NCAA. He has a great team year in and year out but he can never accomplish anything with them. He has the team to do it as well as the matchups. For LSU, it’s Waters and Reid. If they play their best game, it’s hard to beat them. Waters drilled the dagger against Maryland and I expect him to have another huge game. Between him and Cassius Winston, we’ll have a great guard matchup and the winner of that wins the game. I’m taking Waters every time, LSU 72-69. I’d take LSU +6 and the under 148. This game could go two ways. One, Auburn is still hot and continues to be lights out from 3 and they destroy Carolina. Or, like we saw with Florida State, they go cold and never really find their groove. Unfortunately for Auburn, I think the latter is the truth. Auburn has been on a tear recently and this is the most rest they have gotten since the SEC wrapped up. Carolina is also playing scary good right now. Coby White, Cam Johnson, and Luke Maye have been playing their best basketball at the best time imaginable. Between the coaches, Pearl is at a disadvantage. Roy always has his teams ready and I think they’ll be more than ready tonight. Give me UNC 82-72. But take AUB +4.5 and the over 165. MORTAL LOCK. Unlike most people, I think this is going to be a blowout. 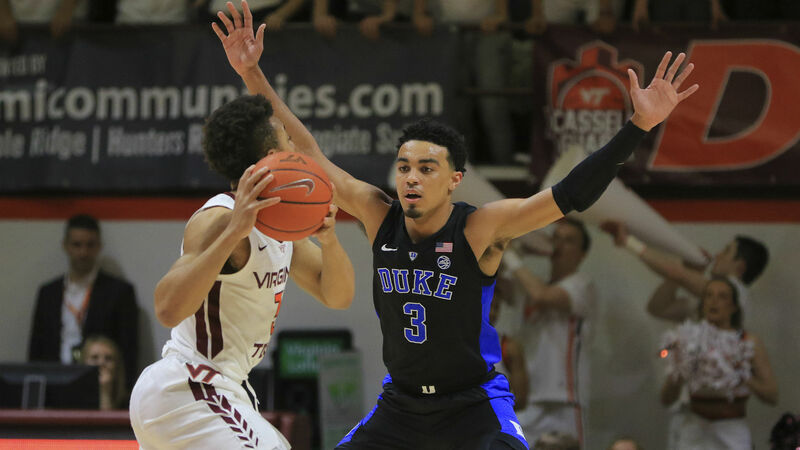 When they last played, Duke was without Zion and they looked like a lost puppy. Well, now they have Zion back and he is out for vengeance. As much as I want Lebron Lockwood, there is no way that Duke loses this game. Zion, RJ, and Cam are all playing way too well for that to happen. I love Buzz Williams and I love how Tech plays, Alexander-Walker is no RJ or Cam. He can get his but they somehow have to hold RJ and Cam to below 15 each to even have a chance. UCF did an amazing job at packing it and and essentially just make Duke shoot. Well, they had a rough game shooting and they almost got beat. Duke will might run away with this game. Duke 86-80. Take VAtech -7 and the over 142. We are a mere 4 hours from Kentucky tipping off and still zero word on whether or not PJ Washington will play. He is the x-factor in this game because if he plays, Kentucky wins this game by 10+. If he does not play, it will be a much closer, less uncomfortable game for the Cats. Corey Davis Jr. is an absolute stud. He’s scoring over 18 game a this tournament and he can lead Houston on a spark early on. But honestly, Kentucky has this game. Tyler Herro is going to play lights out and shut down Davis Jr as well. Keldon will be Keldon and honestly… PJ is playing. We all know it. With PJ and Reid back and better than ever, the entire offense will play better. Look for Hagans to play more loose and hit some shots tonight and if he does, watch out Houston. The only chance they have in this game is if PJ does not play and Herro does not make anything. I think that is not the case and the Cats run away late. Kentucky -2.5 and the under 134. Kentucky 67-54.